I put the Too Faced White Chocolate Chip Eye Shadow Palette on my holiday wish list as soon as I saw the first promo images of it. I love the Too Faced Chocolate Bar Palettes and the shades looked like they were right up my alley, so it seemed like a no-brainer. Of course, about a minute after that, I started to see some pretty awful reviews of the White Chocolate Chip Palette, and I started to rethink my need for it. But I'd already told some friends and family members who were looking for gift ideas for me, so I just decided to let it be. That's a long way of saying that when I wound up with White Chocolate Chip Palette, I didn't exactly have high hopes for it. Maybe that's why I have a more favorable opinion of it than most of the reviews I've seen. Back in the day, I had one of the original Too Faced Papa Don't Peach Blush. 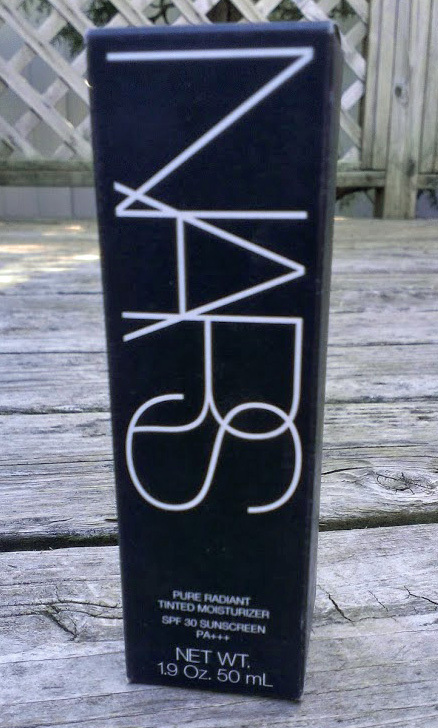 I remember that it came in heavy cardboard packaging with cool retro artwork, and I believe it was a mostly matte peach shade with some subtle gold shimmer throughout. I liked it quite a bit, and was very disappointed when it turned up missing after I took it on vacation with me. I never got around to replacing it, and then Too Faced went and discontinued it so that was that. Until recently, of course, when Too Faced relaunched the Papa Don't Peach Blush as part of their Sweet Peach line. I used to really dislike cream blush. I think that had a lot to do with the fact that my skin was super oily and cream products seemed to slip right off. Application had something to do with it too -- I was applying the blush with my fingers back then and I had a tough time getting it to apply evenly. Over the past 5 or so years, though, I've kind of fallen in love with cream blushes. Now, during that time period, my skin has become increasingly drier so cream products have become a much better fit. I've also learned that it's best to apply cream blushes (and highlighter, bronzers, and contour products) with a brush to get the look that I want. With all of that in mind, I was pretty excited to try the elf Cream Blush Palettes that came out a year or so ago. As a general rule, I don't believe in spending a lot of money for on a tinted moisturizer. They're basically just a super light coverage foundation, and while I always try to use products that contain good ingredients for my skin, I don't think you always need to spend an arm and a leg to do that. 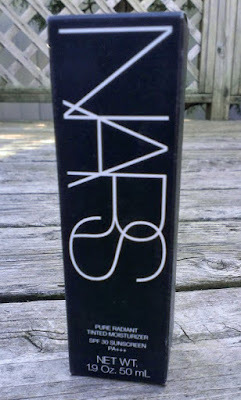 That said, I have bought a couple of high end tinted moisturizers over the years so when a friend told me how she loves the NARS Pure Radiant Tinted Moisturizer, I got a little curious. It's $44, though, which is a hell of a lot to spend on a tinted moisturizer in my book, so I waited until NARS was recently having a 20% off sale to pick it up.